The yellow wheel trims look great! Do these protect the rims from kerbing as well? Yes they are the self adhesive rimblades, bought on EBay for about 30 quid IIRC. Does look really good; they cure that awkward lack of delineation between the tyres and the black wheels. I was sceptical whether the adhesive would be affected by the high temperatures that the wheels get to when on Track, so far they have done two trackdays with no signs of departure from their original position. Had these parts arrive from the USA this week from Function First to upgrade the GT3 shift to all metal from the stock plastic parts. Sharkwerks sell them also, but I bought direct. Was thinking about Cup Shift cables, but Matt at Fearnsport advised against it due to noise transmission into the cabin. Particularly so as I am already running a single mass lightweight flywheel in the car. When installed, I will post a before and after video here to show the differences. Interesting shifter mod. The 2 RS shift has metal bearings and is probably a tad cheaper from the OPC. Did you look at that? Yes, I looked at the .2 shifter, but thought going all metal and not just the bushings which the .2 has, would be a more precise option. Furthermore, the extra time to fit a full metal set up when I have the shifter and centre console all stripped out would be insignificant. For the marginal price difference, IMO the benefits outweigh 997.2 and so the FF Shift Right was a no brainer decision for me. Interestingly, the mod is also applicable to the 996 Cup and 997.2 shifters. Cor, like this Stuart. Look forward to hearing your thoughts on it..
Or a set of these in yellow. Ill be interested to read what you think of this when fitted, also the fitting process. Play in my 996 shift is annoying, but I've never liked the feel of short-shifts either. 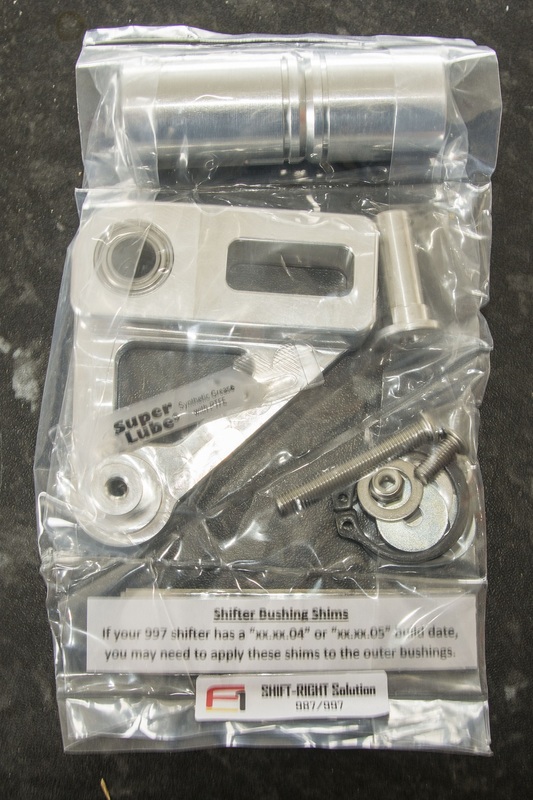 Just back from test driving the new Function First metal shifter kit that have just installed. Wow, the shift has transformed from AK47 to Lee Enfield 303 quality. There is absolutely no slop in the linkages now! 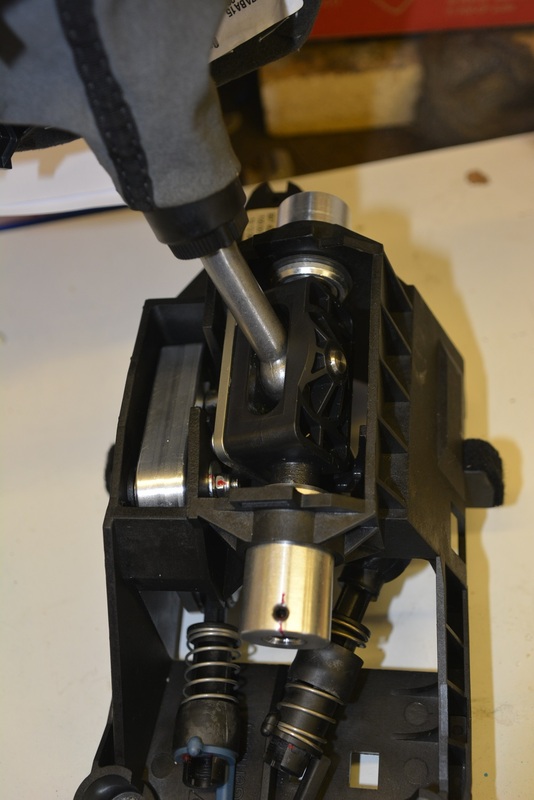 The OEM shifter had slight play in the two white hard plastic bearings necessary due to manufacturing tolerances, with the alloy fore/aft bushings there is no play or lost motion whatsoever now! 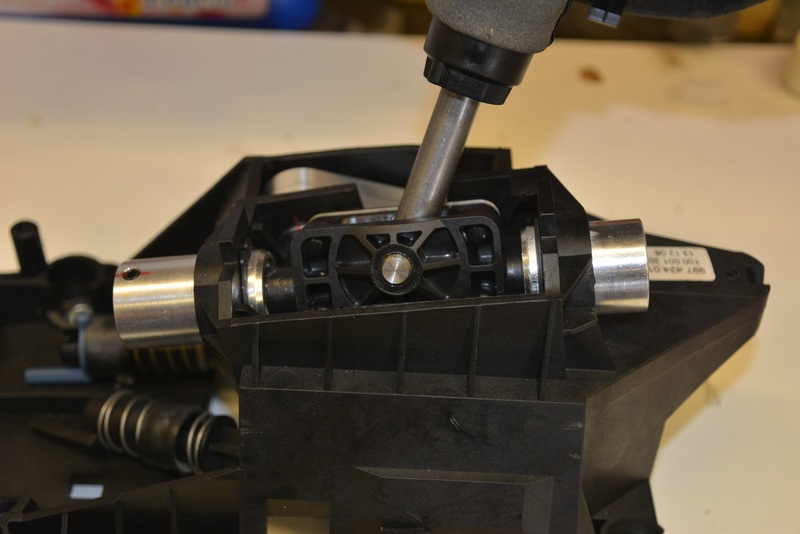 The replacement alloy side yoke/lever is beautifully made (6 axis CNC machined alloy) and also fitted with ball bearing. The whole unit replaces the Porsche injection moulded plastic piece. Everything can be adjusted to remove any slop in the shift linkages and from an engineering standpoint...a thing of beauty! Everything fitted beautifully and the only change I made was to replace a shakeproof washer with a Belville one as I prefer these as a locking means. Fitting the new parts took about half an hour at a leisurely pace! 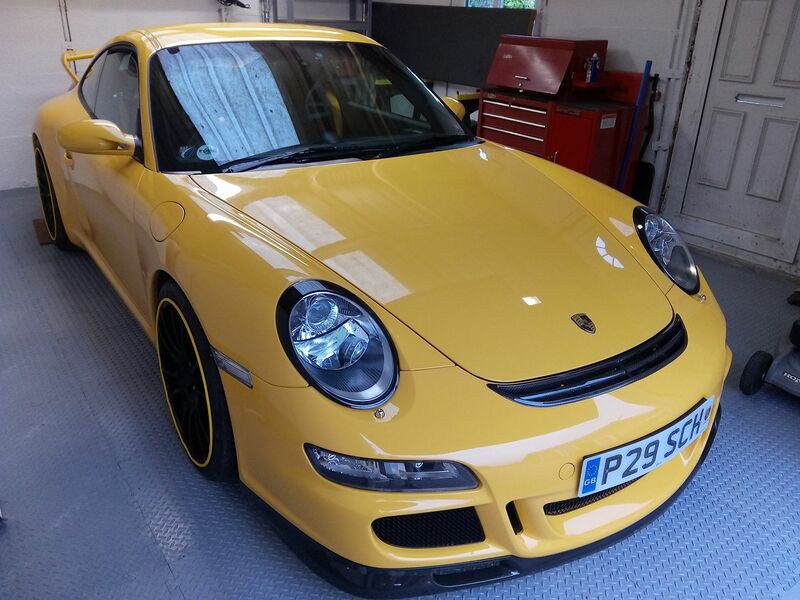 Is it any better than the Porsche 997.2 GT3 unit? 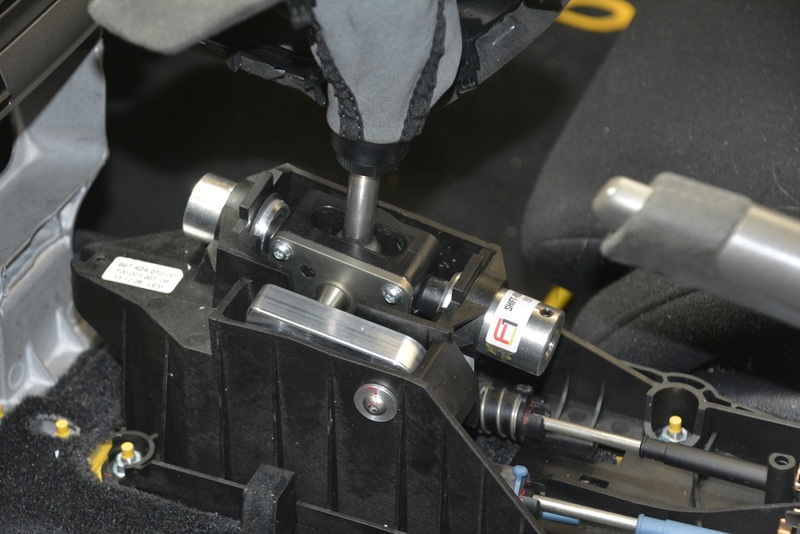 To conclude, it is very comparable on price, $295 plus $30 shipping, to the Porsche 997.2 shifter (£300 I believe) the fitting time is irrelevant as you have to have the centre console out anyway and would say the centre console removal is the lion share of the work. It is all metal and not just the two bearings as on the Porsche unit. You decide, but I would definitely go the Function First unit over the Porsche offering if I was doing it again. What does this now look like in situ, is everything exposed like in the pics or does it all look OEM? 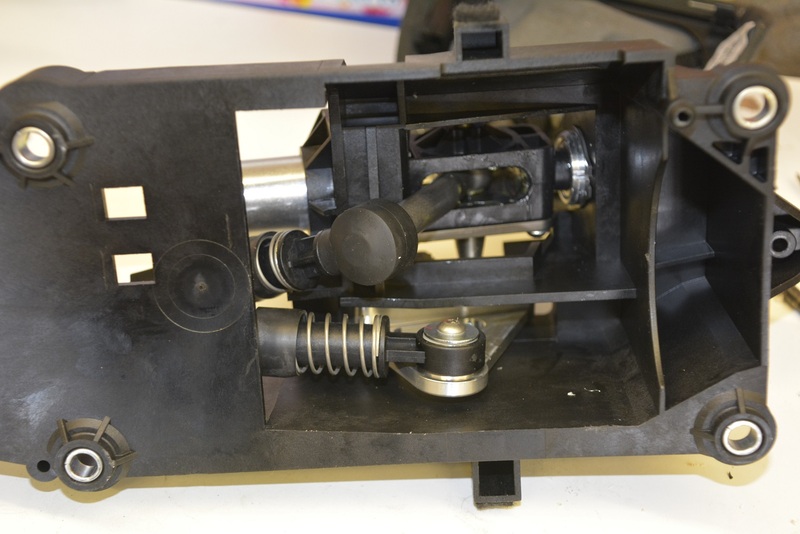 Did you look at the CAE shift mechanism, any reason in particular you didn’t go for that? All goes back as standard, you would not know it has been upgraded. Yes looked at CAE, but too "race car" for my taste (I love my OEM carbon and alcantara ) and 3 times the cost of the Function First kit. 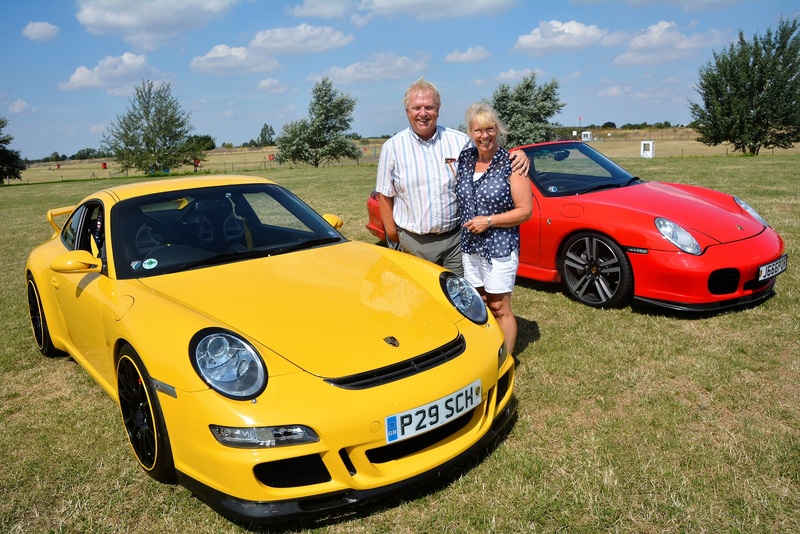 Article about the GT3 and Cab in the November 2018 issue, and here is one of the piccies from the article.